UPDATE – See what my Franz Josef Glacier hike was like and get some tips. Well, score one for my wife. She uncovered a very first-rate adventure someplace I didn’t even notice. During my New Zealand planning, I’d completely ignored Franz Josef Glacier. Big mistake! Fortunately, she was there to bail me out with a great discovery. So, what’s so cool about it? I mean, glaciers aren’t exactly the speed demons of the geological world. 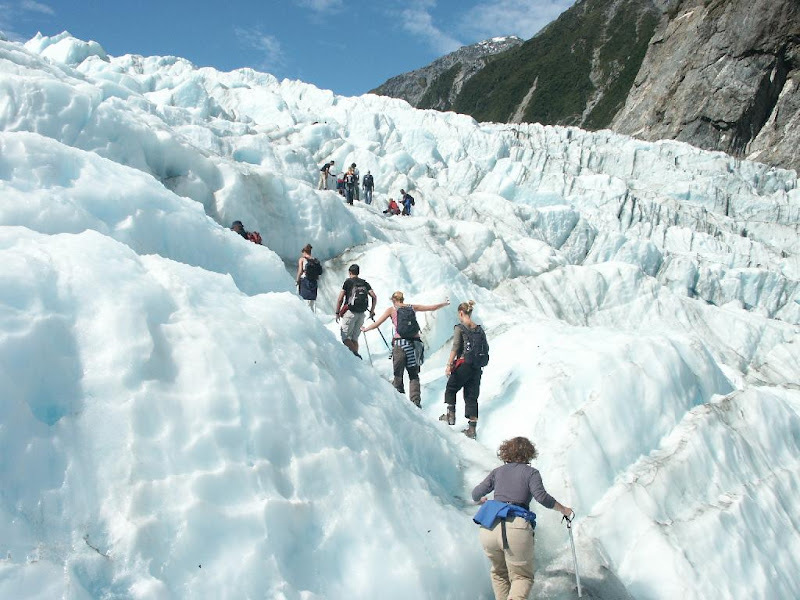 Well, how do blue ice, ice caves, crevasses and stunning views sound to you? Yeah, they sound pretty awesome to me. 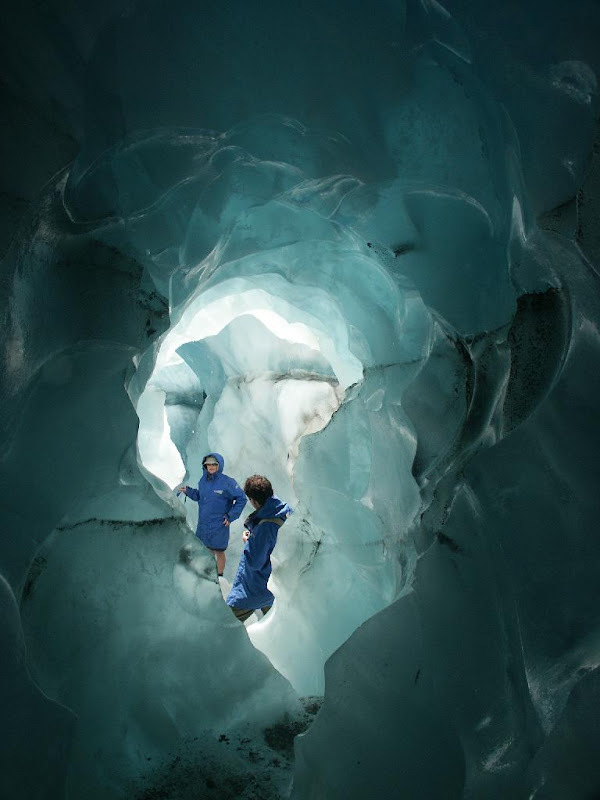 I booked us a tour with Franz Josef Glacier Guides. The question was … which one? They have a lot of tours available, everywhere from two hours and up. In other words, don’t do it halfway. Get out on the ice, and stay awhile. Get high up there and see the blue ice caves! Right on, then. I’d bet on this to be one of the high points of the trip. Stand by for a full review upon my return! I wish I could take credit for them! I will have some of my own in just a few weeks. I hope I can do just as well! Previous The world’s coolest hotel … and one of the coldest!